Dedicated to helping small business owners manage, develop, and expand their companies. Finance and tax advice, advertising and publicity tips are offered, along with computer and Internet information and guidance toward becoming an expert manager. 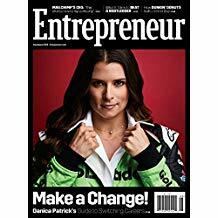 Entrepreneur Magazine also includes successful entrepreneurs' inspiring stories.